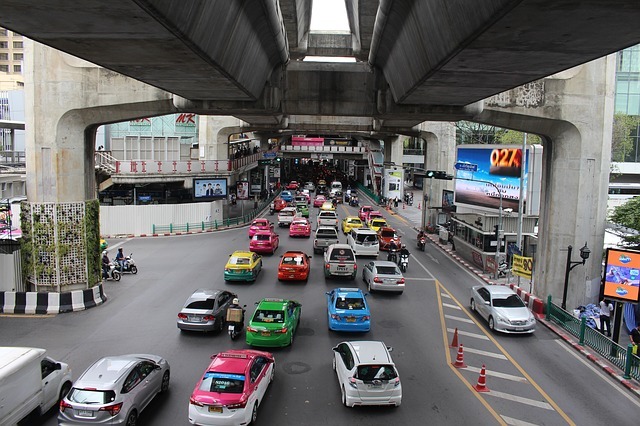 Bangkok is a huge, sprawling and downright insane city. It’s the kind of place that you could really envision going for a nice week long holiday then waking up in a hotel somewhere a month later having no memory but still somehow knowing you had a great time. It’s just one of those places where pretty much anything could happen. It is not for everyone, but it is for me. If a bit of excitement is what you like to get up to on your holidays here is how I would spend a week in Bangkok. Monday’s in Bangkok are pretty much like Monday’s in any other international city in the world. Except faster, busier, more chaotic and, depending on the season, probably a lot hotter. Having arrived in the city the first day is going to be your ‘get my bearings day’. Check into your reasonably priced hotel, drop off your bags and go out to take a stroll. No matter where you go the best way to start to understand where the hell anything is is just by walking about. I highly recommend stopping by a local cafe or bar to great a snack and, if you’re anything like me, a beer. Take your time, shake off that jetlag and get ready because this city is not going to slow down for you. If you’re feeling really brave maybe practice crossing the road. The rules are simple, everyone gives way to buses, scooters give way to cars and pedestrians give way to scooters, cars and definitely buses. You end up just letting the traffic part around as you shuffle across. Tuesday comes and it’s time to get into the thick of it. What better place to start is the Grand Palace. Sitting in the old part of Bangkok this massive complex was once the home of the royal family and still houses some of Thailand’s greatest treasures. The Palace is gigantic and is made up of a lot of different buildings. Each is designed and decorated with ornate carvings and painting. The detail is amazing. You need a solid few hours to explore the entire Palace and even then you’ll be pushed for time. Make sure that you cover up your shoulders and knees before heading in as the Palace has a dress code. One of the best ways to see the city is to check it out by boat. There are a lot of boats and ferries that zip around the massive river that cuts through Bangkok but a long tail boat is the way to go. These can be found at several spots along the waterfront. The long tail boats, despite looking a bit more risky than the larger tour boats, take in a lot more of the river. They get off the main stretch and head down the canals so you can see the back areas of the city. A lot of places are quiet eye opening. Shopping is compulsory in Bangkok, really. There are so many amazing spots to find a bargain. My favorites have always been the Sukhumvit Road markets and the Khao San Road markets. I wouldn’t in anyway say that they are the best places on offer but they have shopping with a side of culture. If you’re looking for a shopping centre type of place the Asiatique shopping centre on the riverfront is a great place to pick up the latest and greatest fashion in South East Asia. If you want more information you can check out this guide to the best places to shop in Bangkok. Friday is here and it’s time to get into the middle of the action. Taking a visit to the Chatuchak Market is a must do in Bangkok. These massive markets go on and on forever with everything that you could ever want to buy and so much local food to try! Pitch your negotiation skills against the local stall operators if you dare. They are very aggressive operators but it’s all part of the fun. The first price they give you is always very high and you can negotiate for a lower price. Don’t be too harsh, they are working hard for their money! Saturday is probably a day of rest. Trying to keep up with this city is exhausting. But after that sleep in there’s one last thing you have to do. 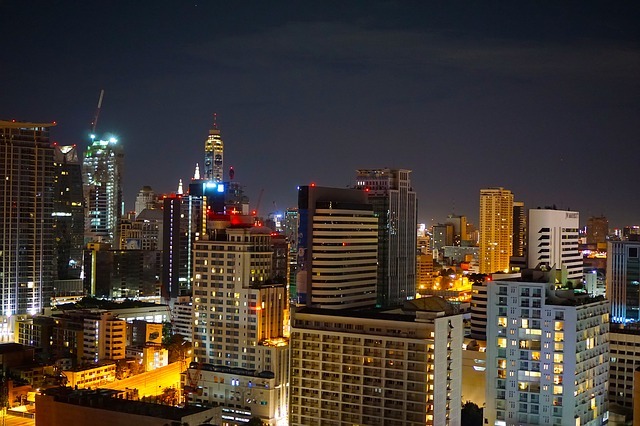 You have to check out the rooftop bars in Bangkok. This city has some of the best rooftop bars in the world, soaring high above the skyline. The Sky Bar rooftop at Lebua State Tower is perhaps one of the most famous (there are a lot). Towering on the 63rd floor it’s a great place for a cocktail as long as you’re not scared of heights. You’ve survived till the end of the week, perhaps a little worse for wear but I’m sure that you’ve had an amazing time. Bangkok is an unforgettable city. 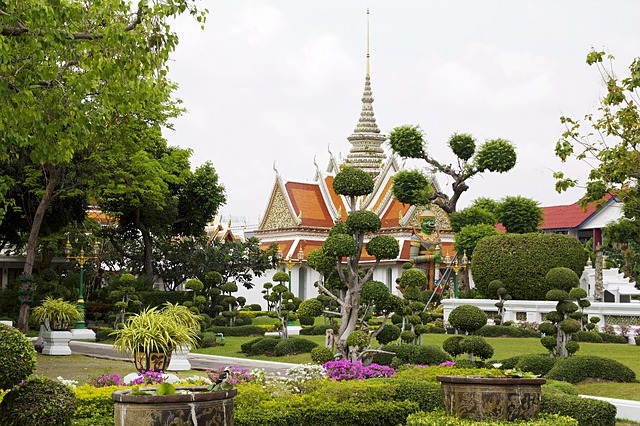 If you’re looking to get to know this city a bit more personally you can book a Bangkok tour guide at Verramente. Cool article and definitely written from the heart. Bangkok is most beautiful destination. Always want to go there and spend someday. Lovely pictures you captured. Thank you so much for sharing a great experiences with us.